Vivanco FMH 7190 review | What Hi-Fi? 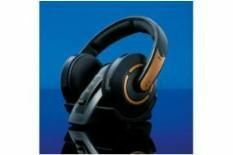 The Vivanco FMH 7190s are an over-ear set of headphones, which communicate via RF (radio frequency) with a transmitter. Supplied with two AAA rechargeable batteries, they need a lengthy 15 hours of charging for around 14 hours of music playback. They are reasonably comfortable but we're fairly disappointed by the sound. A lossless version of Mayer Hawthorne's Make Her Mine lacks the clarity and cleanliness to vocals while basslines sound soft. Switch to Kings Of Leon's 17 and it's edgy and cluttered. We're not convinced.